How should the lips feel ? 6. high [and low] range is very very easy. how SHOULD it feel lip wise ? it shouldn’t feel like anything…. extremes are only parameters which you are either strong enough to cope with or you fail… heres some myths..
How should it all feel when not playing…should it feel beefy / full / pumped no…. it just feels normal… like you’ve never played trumpet in your life…. ¨ 75% OF PLAYERS WITH A TOO OPEN APERTURE SIZE USE VARIOUS TRICKS TO TRY TO COMPENSATE, HOWEVER THEY ARE MOSTLY UNAWARE OF THEIR CURRENT STATUS. ¨ 15% OF PLAYERS PLAY WITH A TOO CLOSED APERTURE SIZE USE VARIOUS TRICKS TO TRY TO COMPENSATE, HOWEVER THEY ARE MOSTLY UNAWARE OF THEIR CURRENT STATUS. ¨ 5% OF PLAYERS PLAY WITH AN EFFICIENT APERTURE SIZE, BUT HAVE OTHER PROBLEMS. ¨ ANOTHER 5% OF PLAYERS PLAY WITH AN EFFICIENT APERTURE SIZE, HAVE MUCH LESS PROBLEMS AND ARE CALLED ‘GENIUS,’TALENTED’ OR’ NATURAL’ PLAYERS. 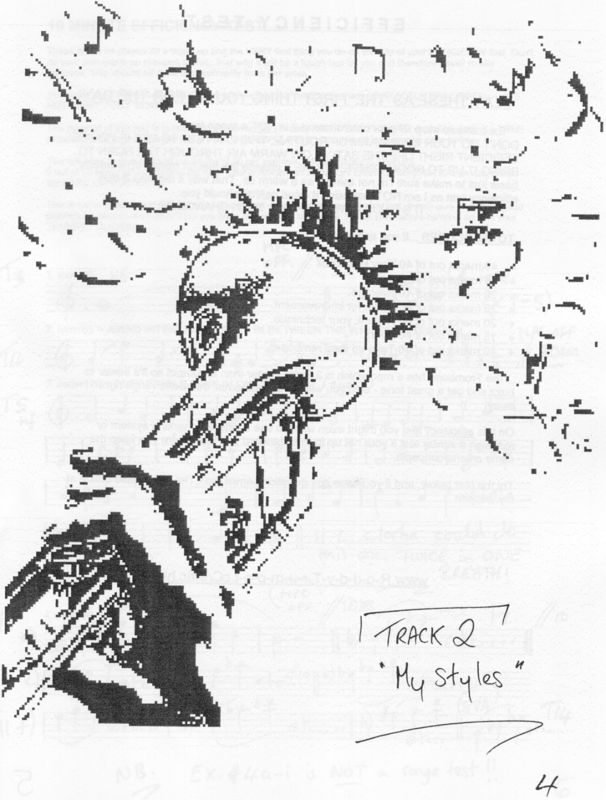 TRUMPET PLAYERS ALSO ARGUE ABOUT THE EFFICACY OR VALUE OF VARIOUS METHODS AND TECHNIQUES. SOME GUYS ARE TOO OPEN AS AN APERTURE START POINT DUE TO BAD HABITS. SOME GUYS ARE TOO CLOSED AS AN APERTURE START POINT DUE TO BAD HABITS. THIS MAKES THE INFORMATION IN ANY OF THE USUAL WELL KNOWN CHOP BOOKS OF THE PAST SEEM CONFLICTING BETWEEN THESE ABOVE GROUPS EVEN THOUGH ITS NOT. HENCE THE HEATED DEBATES OF THE INTERNET BRASS FORUMS. THESE GUYS ARE IN EFFECT EXPERIENCING DIFFERENT RESULTS (good /bad) FROM THE SAME METHOD BECAUSE THEIR APERTURE START POINT IS DIFFERENT WITHOUT THEM EVEN REALSING IT. MANY PROS HAVE THESE PROBLEMS – THEY MAY BE EFFECTIVE BUT NOT EFFICIENT! Your first vital step = have an open mind! Your first step is to understand that stunning performances are down to the quality of a musicians physical and mental preparation, not the quantity of practice. Many of the people I see in lessons or that email me have VERY fixed ideas [mental baggage] about their practice. Not only are they wasting many hours on unnecessary or unproductive daily exercise routines that only go to reinforce the underlying bad habits they frequently don’t know that are there, but they are completely out of touch with good techniques. This is what holds them back. You name it! – strength, power and range exercises, endurance, and even warming up, they happily cling to their old-fashioned unproductive methods. Your second step = drop those repetitive daily training routines! All around I see musicians stuck on long, repetitive workouts and routines which are, frankly, never likely to lift performance significantly. For whatever reason, these people may fall way behind where they could be. Many teachers only teach ONE way [bad]..and..don’t have ANY clue about aperture, their own OR their students.. and… how it might effect themselves or others. It must be said that GOOD PROS, who are often aware of MORE successful techniques sometimes keep the information for themselves. Clearly, ‘spreading the word’ about the latest breakthroughs to all and sundry may put them at a disadvantage. Also, some good pros think that the way THEY did it is the way for everyone. [nonsense]. Your third step = lift your practice to current ‘best practice’ standards. So many musicians in an effort to make more progress merely increase the amount of practice undertaken. This is sometimes good for small endurance gains, but if done using the same ‘old bad habit set up’ they used previously, then REAL progress ain’t gonna happen. In fact increased practice time for some, means they actually get worse as the bad habits become MORE reinforced. For example: playing short length range exercises which are all of a similar interval / articulation regime, will not enable you to increase your range long term and finish a long piece on a high Z. All this conditions you for is to play short length range exercises with the same intervals / articulation. REAL MUSIC IS’NT LIKE THIS. REAL MUSIC HAS ALL OF THE ABOVE AT ONCE. 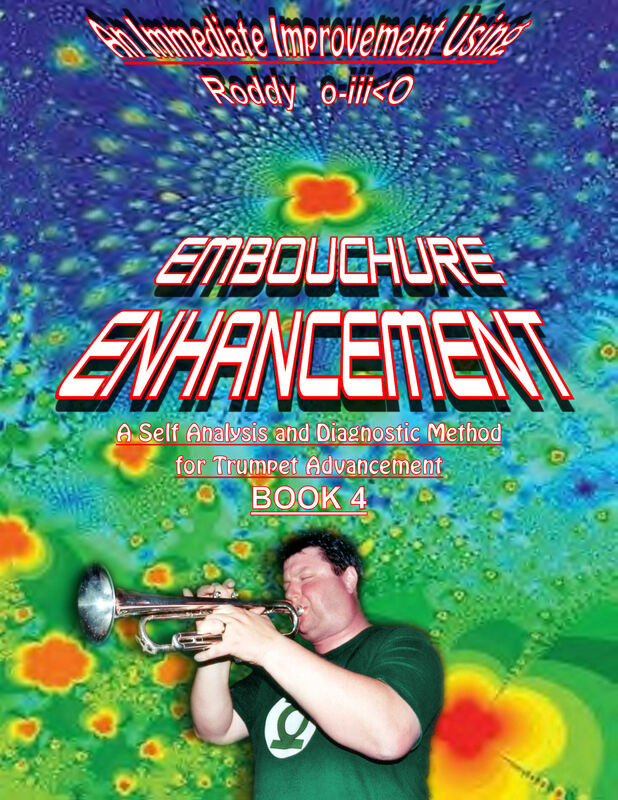 EMBOUCHURE ENHANCEMENT materials are designed to help YOU accurately identify and correct existing foundational problems which then enable forward progress. Most other method books only suggest a way forward that worked for the author without giving you the opportunity to correct foundational problems, this often results in little / no / detrimental / progress even though there may be nothing wrong with the book. Regardless of the authors best intentions you will again be reinforcing your old bad habits. It is very rare that the book will do the foundational correction for you as you go along. Knowing/understanding a problem really is ½ way to solving. 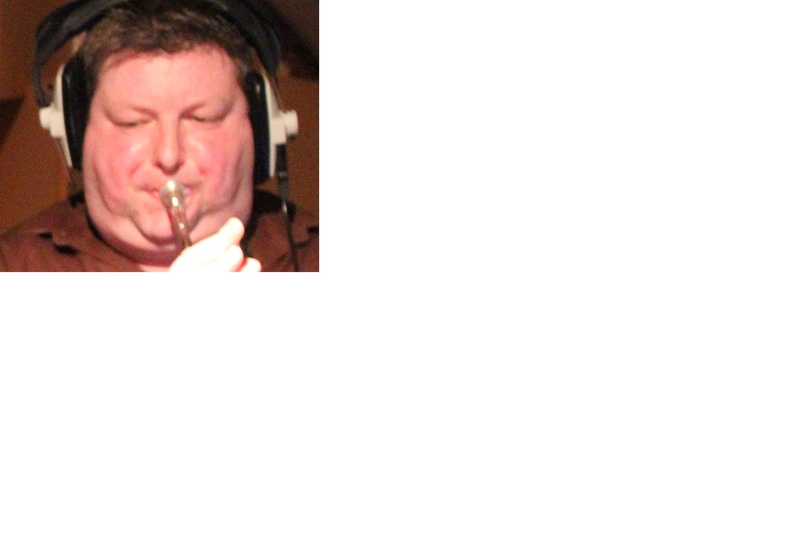 EMBOUCHURE ENHANCEMENT materials will help you do all this. REAL PROGRESS CAN ONLY HAPPEN AND BECOME LASTING IF THE BAD HABITS WHICH MAY OR MAY NOT EVEN BE REALISED CAN BECOME REPLACED WITH GOOD HABITS OVER TIME. IMMEDIATE PHYSICAL CHANGE VERY RARELY WORKS, OR IS ONLY TRANSIENT BECAUSE IMMEDIATE PHYSICAL CHANGE DOES NOT ALLOW FOR THE SUPPORT MUSCLES TO GROW / BECOME CO-ORDINATED ALONG WITH THE NEW TECHNIQUE AS WOULD BE THE CASE OVER A LONGER PERIOD. BAD HABITS CAN BE SO HIDDEN THAT THE OWNER DOESN’T EVEN REALISE THEY HAVE THEM. BAD HABITS WHEN REMOVED, MAY RESULT IN IMMEDIATE FORWARD PROGRESS/STAGNATION/REVERSAL OF FORTUNES. BAD HABITS ARE USUALLY THE MAINSTAY OF MANY PLAYERS CURRENT TECHNIQUES. MANY PLAYERS MAKE THE MISTAKE OF THINKING THAT A REMOVAL OF BAD HABIT(S) MEANS A TOTAL CURE IS IMMEDIATELTY EFFECTIVE, WHICH GIVES THEM THE FREEDOM TO ABUSE A NEW SYSTEM BEFORE THE GOOD HABITS ARE LOCKED INTO PLACE AS A SOLID FOUNDATION. REPLACING BAD HABITS WITH GOOD ONES TAKES TIME, AND WHILST IN TRANSITION, THE PLAYER NEEDS TO HAVE A HIGH LEVEL OF CONCENTRATION WHENEVER THE INSTRUMENT IS OUT OF THE CASE TO ENABLE THE AVOIDANCE THAT BAD HABITS MIGHT CREEP BACK IN. “Habits are at first cobwebs, then cables!” – – Spanish proverb. How to get your High C, Super Strong ! to expose red lip flesh to allow for easy vibration to use as an endurance cushion (donut) and allow higher notes to vibrate..
how does one avoid ‘over use’ of lip to lip compression on any high note? practice endurance of lower notes than the point of your excess..
YOU AIN’T STRONG ENOUGH ON LOWER NOTES!!! I see this all the time..
if its not EASY for you..
YOU ARE NOT STRONG ENOUGH ! 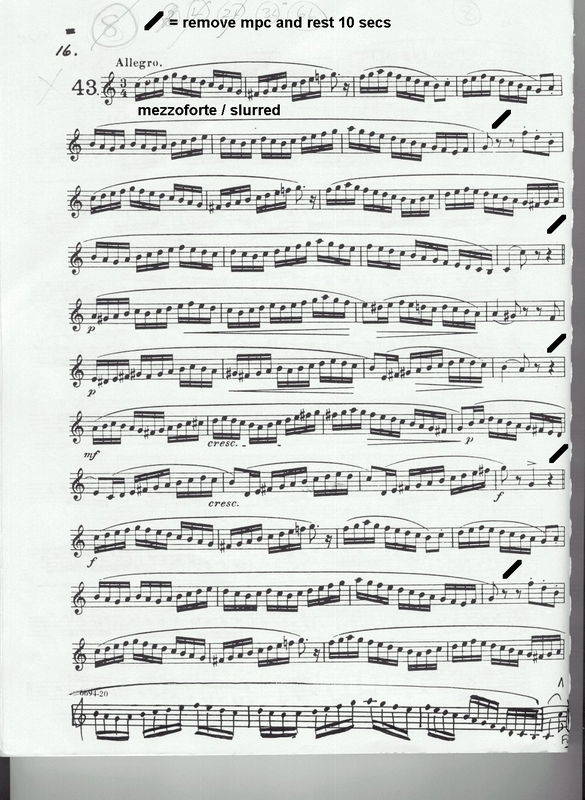 the attached melody should be SIMPLE…if you cant get to the end easily…you are not strong enough!! 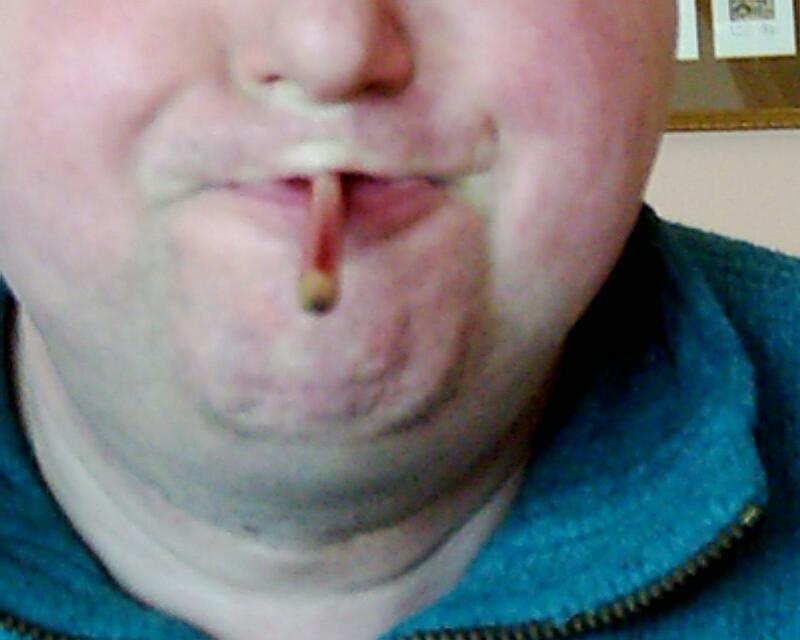 see pencil exercise pic—I can hold it like this for 4 mins….can you? but the moment you go to go to the higher range the notes just wont respond right? stiffness! !—you hate it right?…no range—grrrr!! so..that means..your lips are being kept open by your jaw / facial muscles and it all feels solid and responds..
but the moment you go to go to the higher range the notes just wont respond. darn it – your lips moved closer together [compression – lip to lip] under the greater workload / mpc pressure —past the point of easy vibration. not as a result of stiffness —although it may feel like it—but—as a result of your chops not being strong enough to keep the lips in the optimum close/open aperture utopia position for the notes to come out easily. all they have to do is work smart and build..quit early..keep a decent tone at a mp dynamic..